Go on an adventure to destinations off the beaten path thanks to Hygge Journeys, a startup from Chennai that organises eco-tours around South India. They even have comedians on board! Started just a few months ago, Hygge Journeys is the brainchild of three youngsters from Chennai that love to travel. They ditched their mainstream careers to form Hygge Journeys, a startup that organises eco tours to beautiful spots in India that aren’t already tourist hotspots. 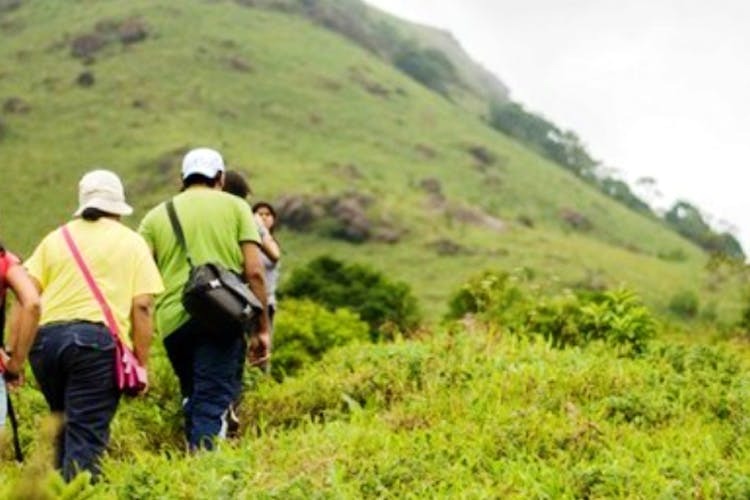 They host their own treks periodically that you can attend, for example, next month there’s a trek to Kudremukh a mountain range in Karnataka and Tadiandamol Peak, the highest peak in Coorg. Each trek is split via difficulty level: easy, moderate and hard. Not only that, there is a clear itinerary with neat descriptions of what you’ll be doing at almost every step of the trek. All of those details are neatly presented on their website (the link can be found below). The treks themselves vary in duration and pickup and drop is from Chennai, so you don’t have to worry about getting to base camp. Speaking of not having to worry, a cool touch that they add is that they stock tents and sleeping bags you can rent, which makes it super convenient as you don’t have to pack as much. From a logistics standpoint, they run a tight operation, everything from transport to accommodation and safety is well taken care of. You’ll have tour guides the whole way, along with plenty of activities to do at the campsites. Things like off-road jeep rides, campfires, adventure activities (like rappelling) are optional extras for those of you looking for a little more adventure. They’ve even partnered with local standup group, Tanglish Comedy to perform shows for you when on trek! All of this is offered to us at surprisingly economical rates, with prices starting at INR 2,500 per person for a two-day trek. They do special offers for schools and corporates too.